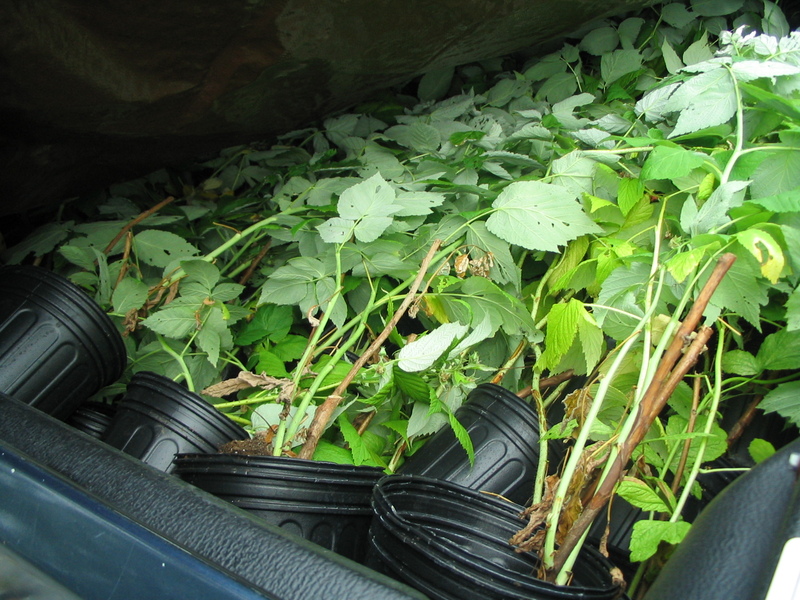 On Sunday Gavin picked up a truckload of ginger and raspberry plants, which were generously donated to the farm by Virginia State University Extension Specialist Dr. Reza Rafie. Thank you, Dr. Rafie! 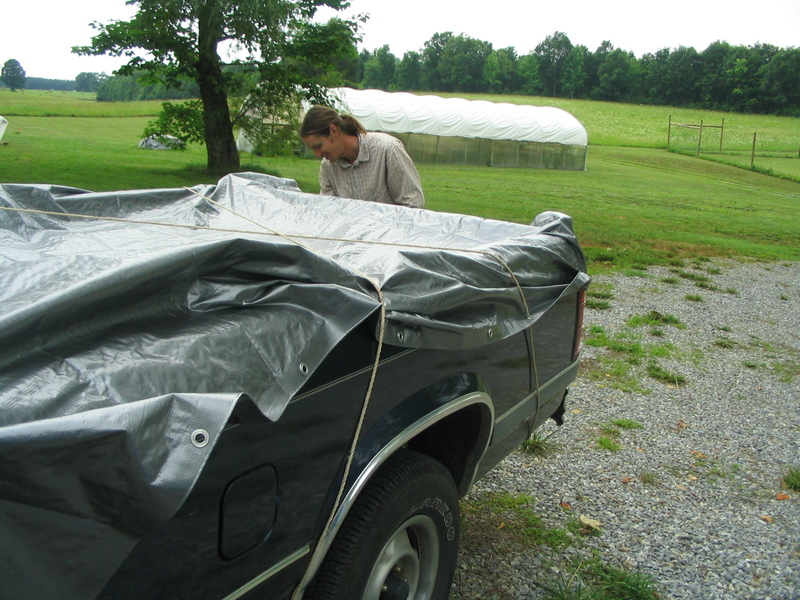 Gavin tied a tarp over the truck bed to get them down the highway safely. 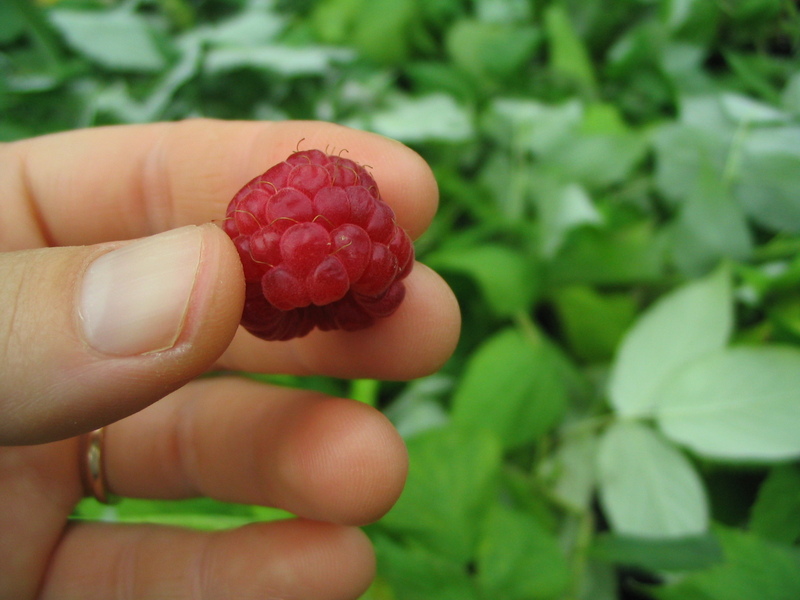 There are three different varieties of fall-bearing raspberries: Autumn Britten, Polka, and Joan J. There are also 50 ginger plants. 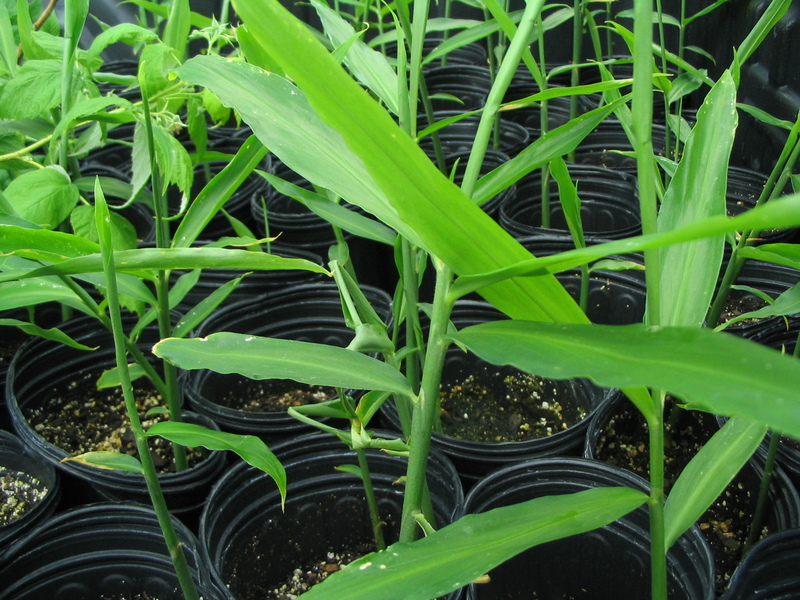 They will produce marketable ginger rhizomes by late fall/early winter (if all goes well!). Both crops are new to us, so there will be some learning going on here. We are excited to try them out! One of our farm objectives is to grow (or try growing) as many different crops as possible, to provide a diversity of exciting offerings at market. We love experimenting. Some of the plants already have berries. We tasted this one, and it was delicious! 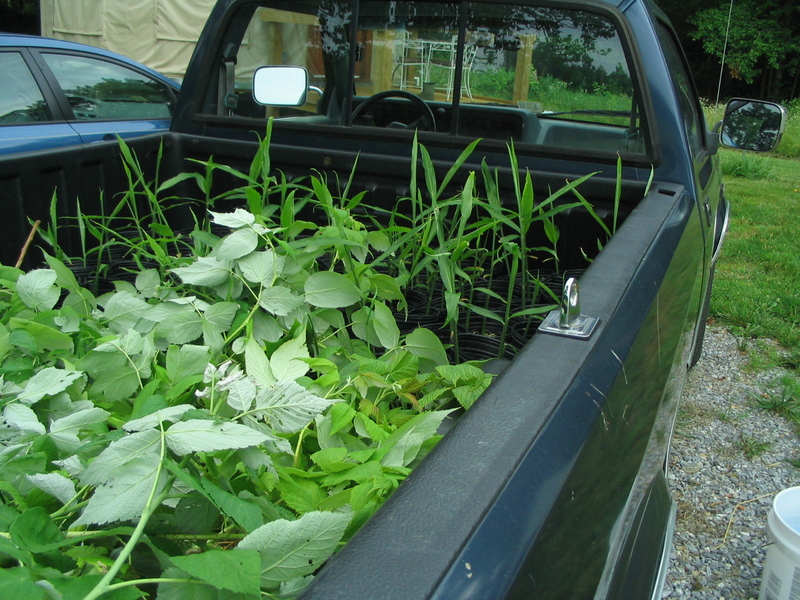 We will plant the ginger in the greenhouse, and the raspberries inside the fence, in the area above the water hydrants. We had already determined that we would use this area (about 1/3 of the fenced area) for fruit production and a small orchard. Another fun project underway! There have been strawberries, blueberries and rhubarb at the market recently. They usually go fast because no one has large quantities.